► Can you tell it apart from 2018 car? 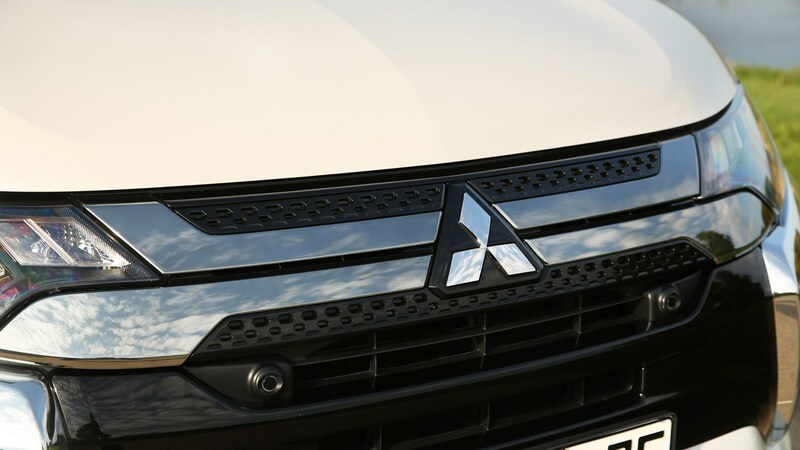 The Mitsubishi Outlander plug-in hybrid is a car that arrived at just the right time. Back in 2014 it accounted for 10,000 UK sales, whereas in the previous year just 1,000 PHEVs were sold nationwide in total. It was a bit of a hit. Thanks to sharp tax incentives and the promise of strong fuel economy from this petrol-electric SUV, it’s continued to do well ever since. But this generation of Outlander is not long for this world. We’re expecting a replacement to arrive not long after the next ASX, and it’ll take the Shogun’s spot as the flagship car in Mitsi’s range. Expect added posh. But back to the updated Outlander. This is no facelift. The face is barely any different, in fact. It’s more a case of technological tweaks aimed at catering for WLTP, and of course keeping things current. Still, we headed out to Provence, France, for a spin to see how the changes stack up. 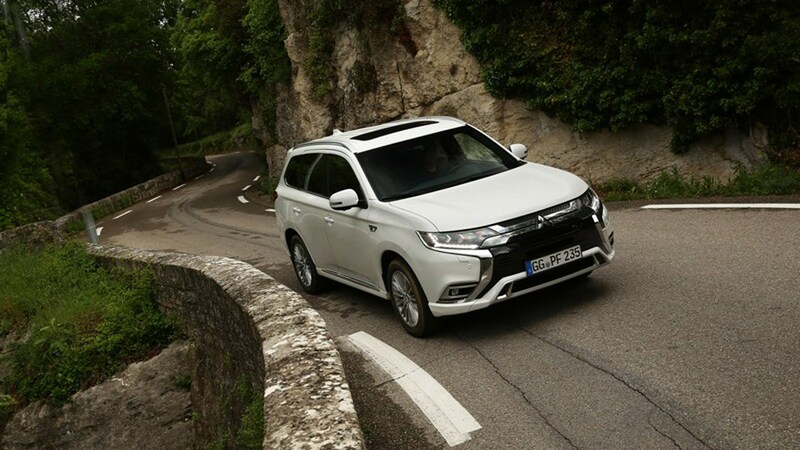 What’s the 2019 Mitsubishi Outlander like to drive? It’s not that far removed from the 2018 car, with was also present for us to compare, but in a couple of important aspects improvements have been made. The first is in cabin refinement, because the new car is quieter, rides better and feels more solid than ever. There’s been extra adhesive applied to the body-in-white (before painting) to strengthen the shell in a similar vein to that of aircraft manufacturers, and this has the effect of enhancing torsional rigidity, so the car flexes less through bumps and bends. We had to drive old and new cars back-to-back to really tell the difference, but there’s certainly some there. Don’t let this fool you into thinking the game has been changed, though: We had to drive old and new cars back-to-back to really tell the difference, but there’s certainly some there. The tyres have changed from Toyo to Yokohama, there’s a quicker steering rack and the suspension has been recalibrated. The good news is, the handling and body control has incrementally improved. The quicker steering is immediately the most notable change, making this Outlander easier to thread through narrow roads. Road noise intrusion levels have turned down a notch too. What has been sacrificed is the ride quality, which has become a bit busy on our UK roads. It’s not uncomfortable by any stretch, but it feels far less settled than before. A fair trade-off for a bit more verve? Almost. There’s a new Sport mode that offers a bit more punch, but to be honest this felt incongruous in light of the epic bodyroll that occurs when you hit a bend too quickly. An additional Snow mode prepares the capable chassis for slippery conditions. You still get the paddles behind the steering wheel to adjust the brake regen’s effect, making one-pedal driving a possibility, and they’re still backwards: the left one turns up the deceleration, whereas the opposite seems more intuitive. However, the argument this caused in the office shows that may be a tester-specific foible. Isn’t a new engine the biggest news here? It would be, had it not been for the salient fact that this isn’t a ‘new’ engine, per se. Instead it’s an adaption of the old 2.0-litre petrol, with the latest Mivec (remember that badge from FTOs and Evos of yore?) variable valve timing added. The engine can switch between Otto and Atkinson cycles, meaning it can make more power and torque when required (133bhp and 156lb ft up from 119bhp and 140lb ft in the 2.0) thanks to the extra CCs using the former cycle, but burn less fuel under lighter loads with the latter. Which sounds great. Except it doesn’t. Put your foot down and you’re greeted with a monotone moan very similar to that of the old car, in that uniquely disappointing CVT fashion – lots of noise and not much acceleration. Only now, the noise is just a bit more distant than it used to be. Funnily enough this isn’t a CVT either. 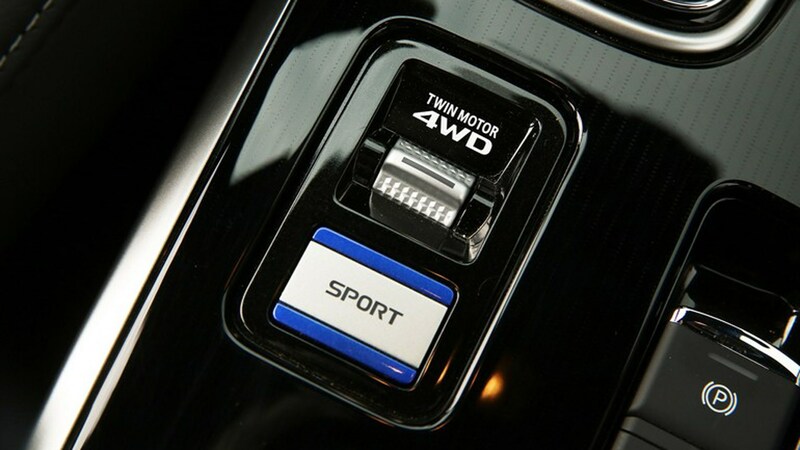 It’s a fixed-gear ‘box that drives power to the wheels, with a hydraulic clutch to modulate the electric twist provided by the twin motors. It’s built by GKN – the firm responsible for the Focus RS’s lively rear axle assembly, among many other OEM applications. The transmission catches up eventually and meaningful movement occurs, but it’s still no thoroughbred. The 0-62mph time has dropped 0.5 seconds to 10.5. This engine revision plus work on the battery – which gets 10% more power output and total capacity of 13.8kWh thanks to new cells and better management - has allowed Mitsubishi to recalculate maximum electric range, fuel economy and CO2 emissions for new-age, more realistic WLTP testing, and the results are more impressive for that reason. We’re talking 30 miles on electric power, 141mpg and 46g/km. You’re also able to drive faster on electric power – now 84 rather than 78mph. The trade-off is it takes an extra 30 minutes to charge the car using a 16A/3.6kW charge point – this now takes four hours. How can I spot a 2019 Mitsubishi Outlander? With difficulty. Mitsi’s goals for the 2019 update clearly didn’t include major styling changes. In fact, even sat next to an 18-spec car, it takes a few moments to spot the newer LED headlights, lightly tweaked front grille and bumpers. The new design for the wheels is the biggest giveaway. Inside, there’s a tweaked instrument cluster, plus air vents and a USB port for rear passengers. The sunroof has been relegated to the options list in an attempt to fend off the extra car tax premium buyers have to pay when pricing creeps above £40,000. Strangley though, while we were impressed by the quilted leather upholstery on the seats of our test car, these are limited to the newly-introduced 5h and 5hs flagship models costing north of £40k. Still, the best-selling 4h model comes in at £37,000 and still comes with heated leather seats, a heated steering wheel, LED headlights, powered tailgate and a 360-degree camera. The 2019 Outlander PHEV doesn’t reinvent the wheel, but then again it didn’t need to. Ironically while it originally landed at a good time, it’s more relevant now than ever before as the push for plug-ins intensifies.